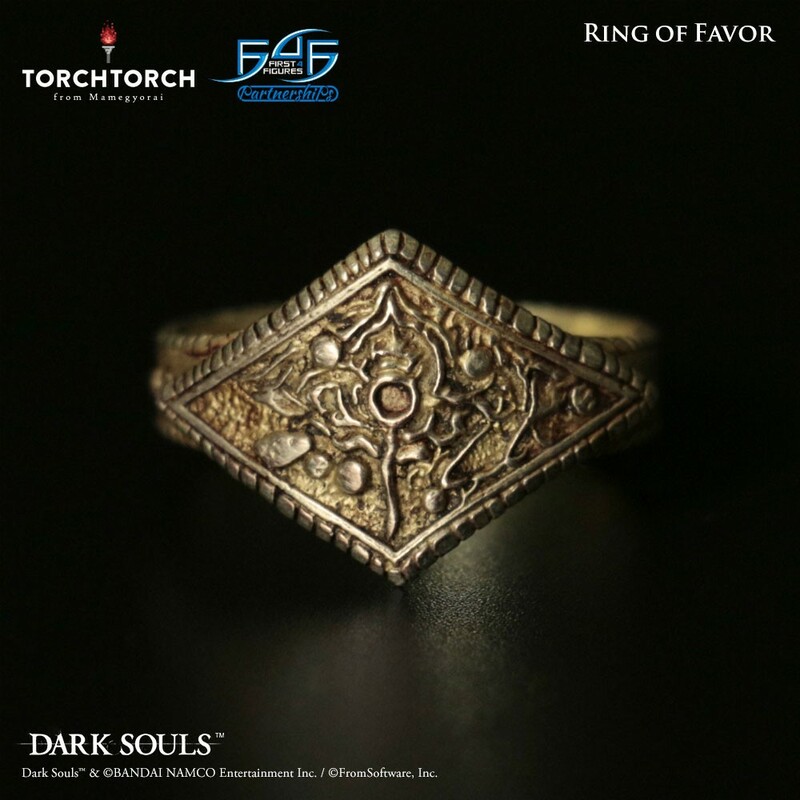 F4F Partnerships is proud to bring you a highly detailed ring collection from Torch Torch. 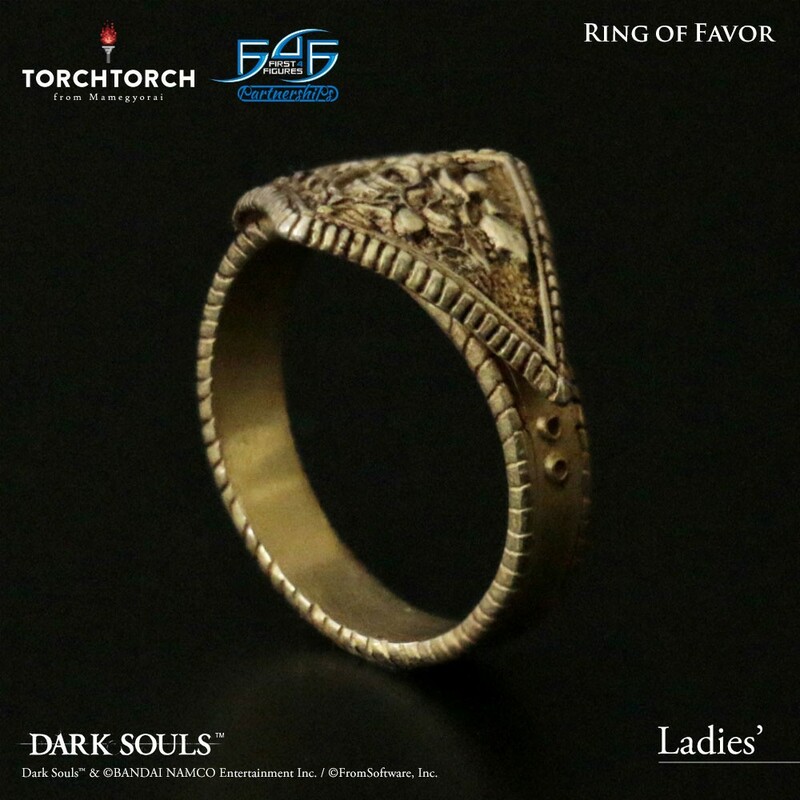 A ring symbolizing the favor of the Goddess Fina, whose “fateful beauty” is mentioned in legend. 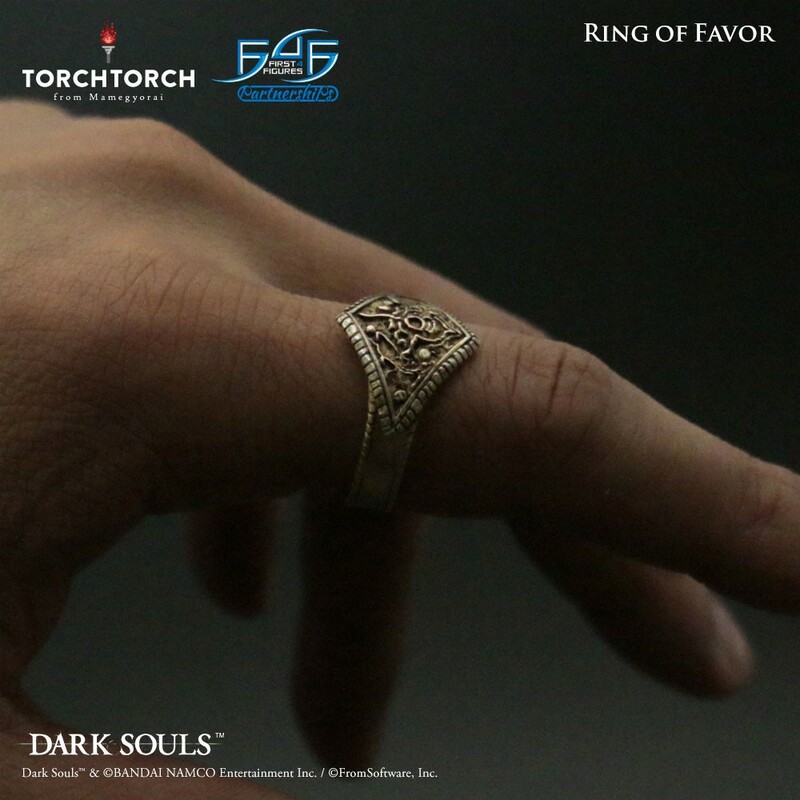 The magical "Ring of Favor" which appears in "DARK SOULS III" increase the wearer max HP, stamina, and maximum equip load. 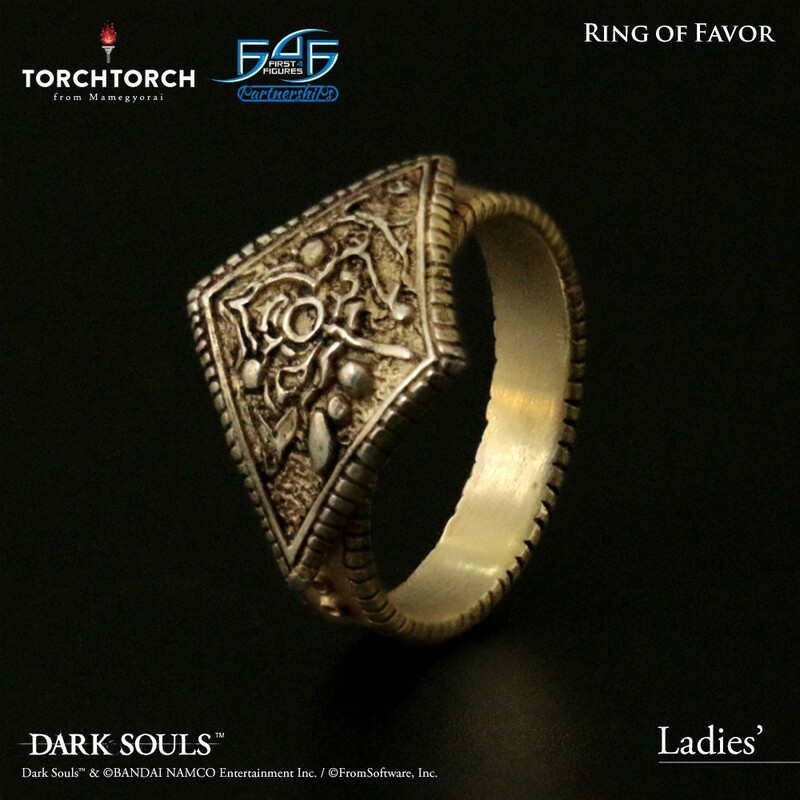 ※The rough finishing and scratching are intended to give it a realistic look. 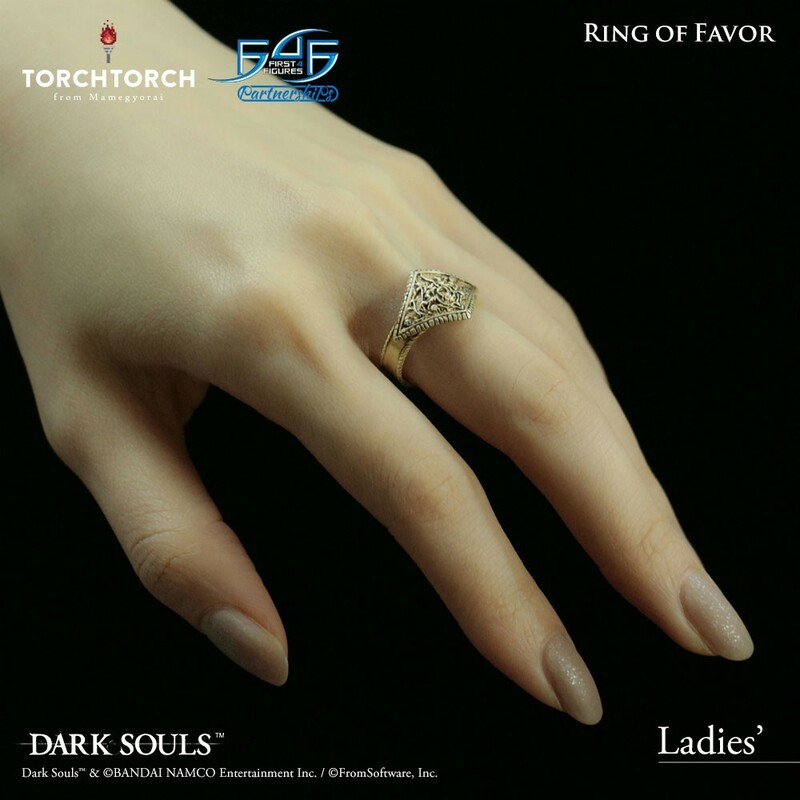 ※The ring come with a gift box. 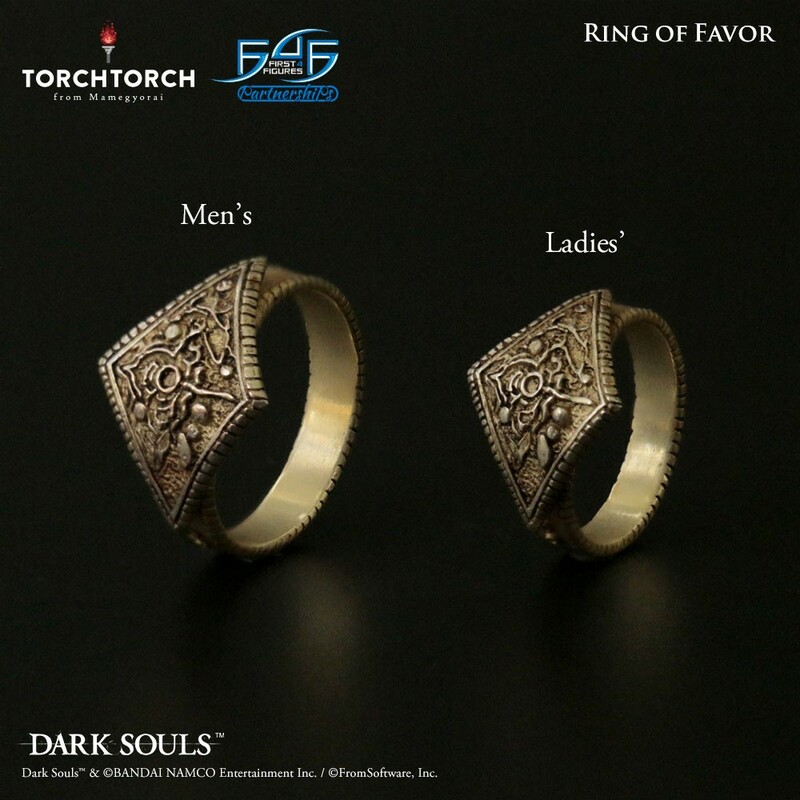 Which are a great addition for collectors and Dark Soul fans. 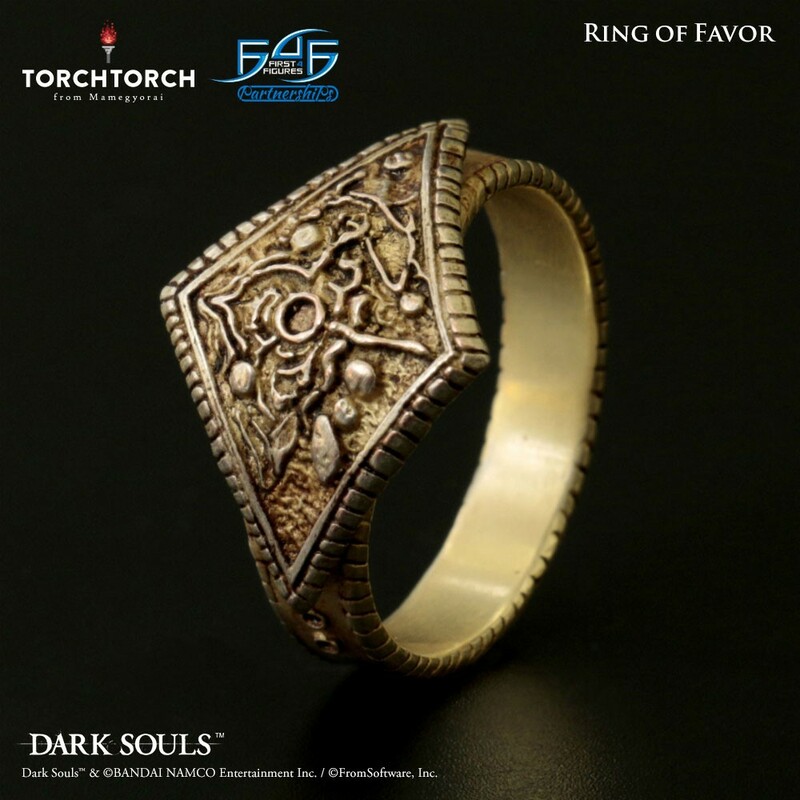 ※All of the products are hand made in Japan by professional craftsmen, each item may not be the same and may have a slight taste of color and details. 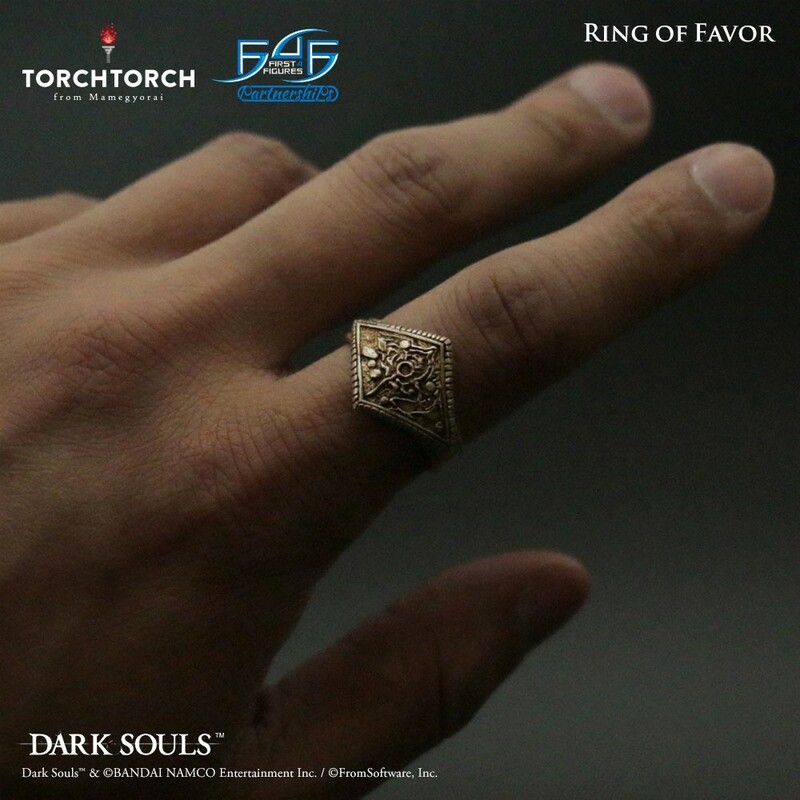 F4F Partnerships is proud to bring you a highly detailed ring from Torch Torch. 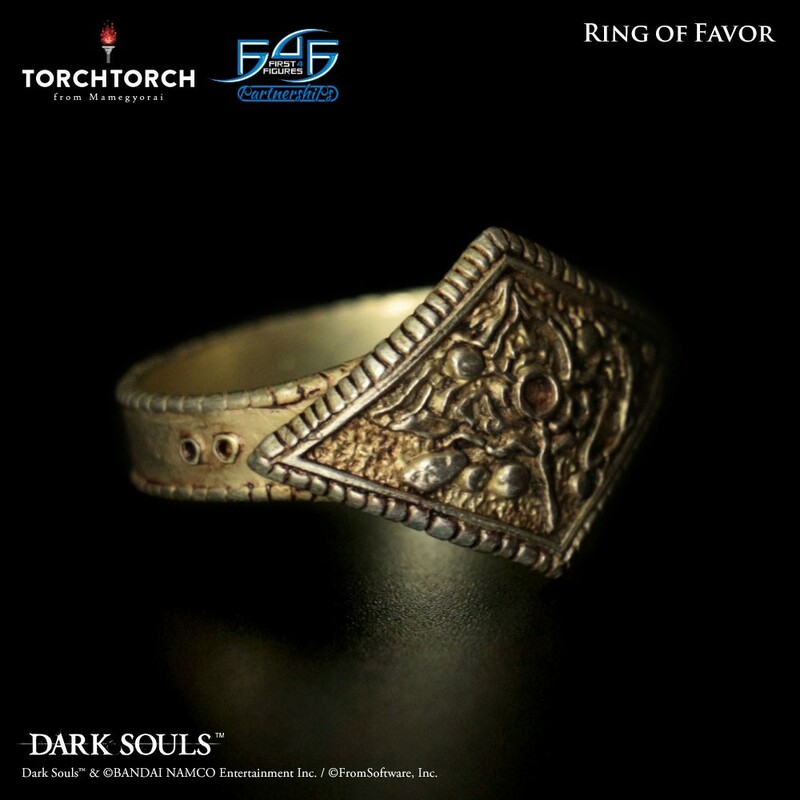 A unique rhomboid shape and made from brass plated silver 925. 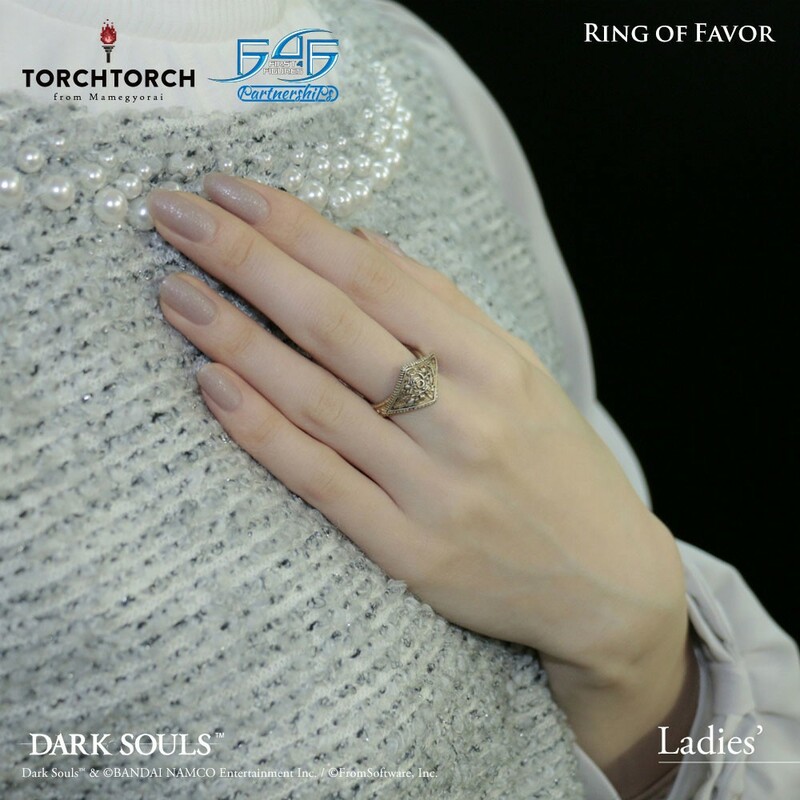 With great care and well thought out the three-dimensional design which magnificently creates a reflects a perfect blend complimenting to the new owner`s sophisticated or casual daily fashion and personal style. 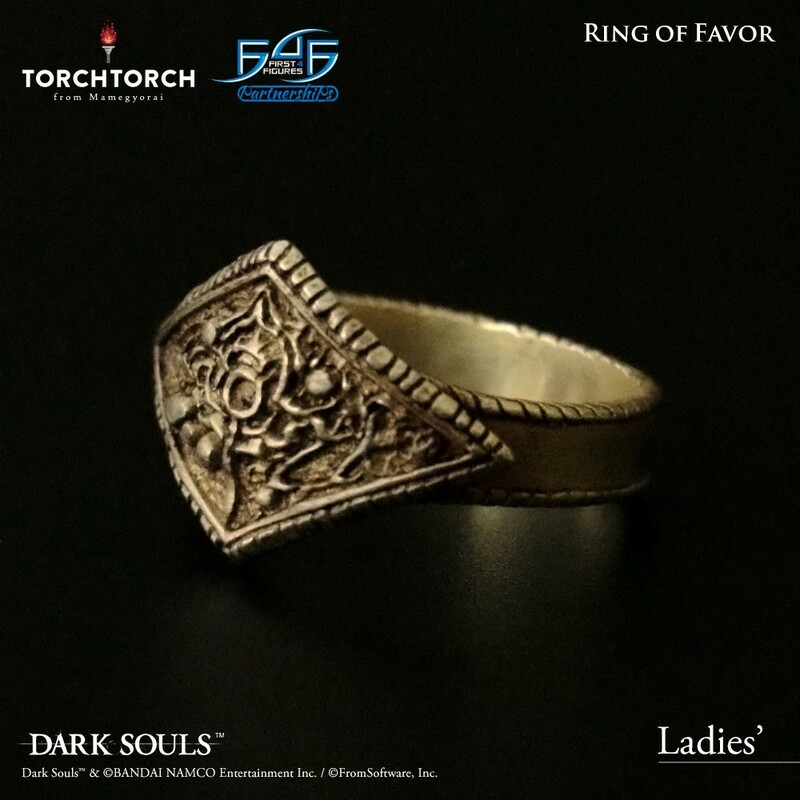 With this intriguing jewellery, you will feel as though you are from the world of “Dark Souls” We dare you to wear the ULTIMATE ring!